Fishing in Alaska is arguably the most popular activity by both visitors and native Alaskans alike. 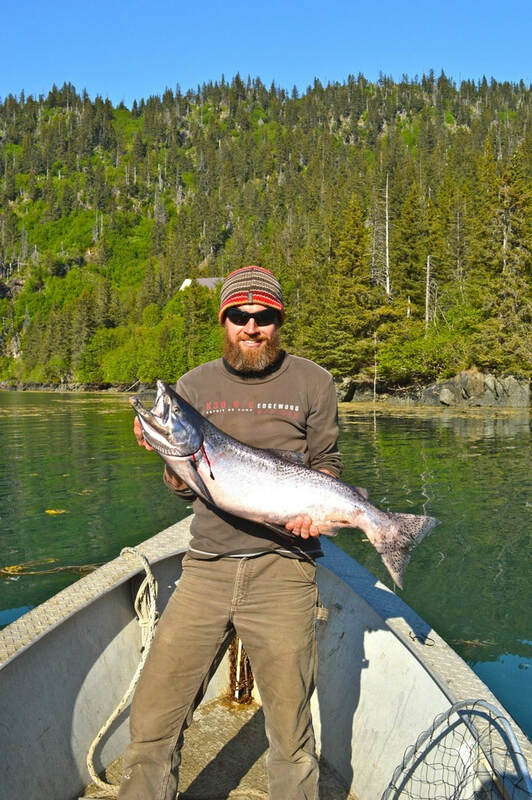 As a full-service Alaskan lodge we are able to do a lot of fishing, and we love it! We fish for multiple species of Alaska Salmon (Kings, Pinks and Silvers), and Dolly Varden Trout in salt water. We also offer various charter fishing trips through local charters for an additional charge. 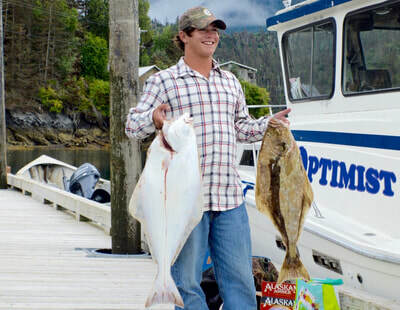 Homer, Alaska is considered to be the “Halibut Fishing Capital of the World”. 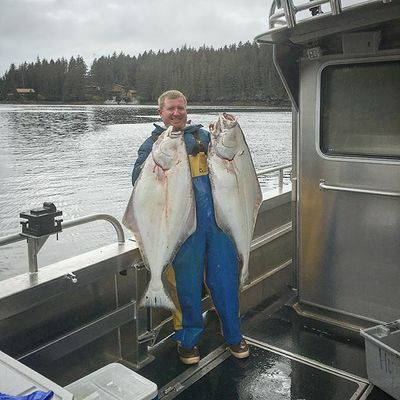 Guests can choose Halibut Fishing, Salmon Fishing, or a Combo Day, making for lots of action and wonderful fare for the table next winter. 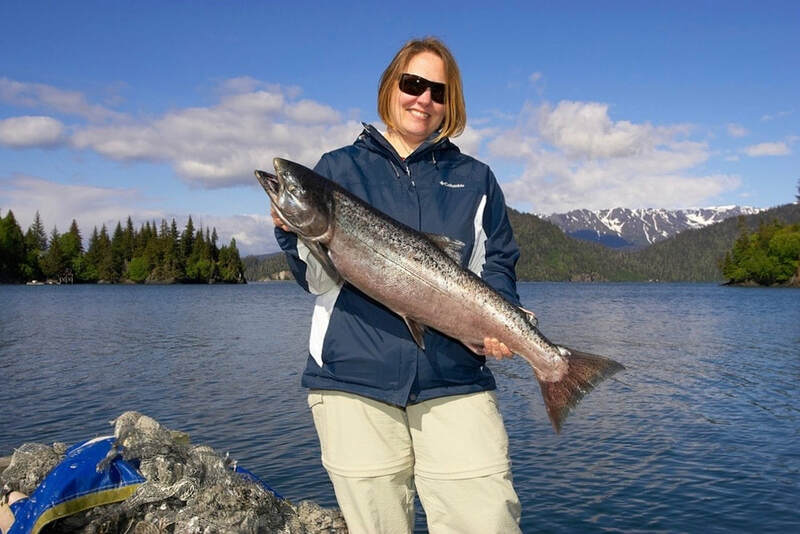 We work extremely hard to make your trip stand out among your Alaskan memories, including attentive staff, top of the line gear, and the boat accomodations and amenities. We pride ourselves in the service that you receive as well as the fish you catch. We have a variety of fishing trips to choose from. 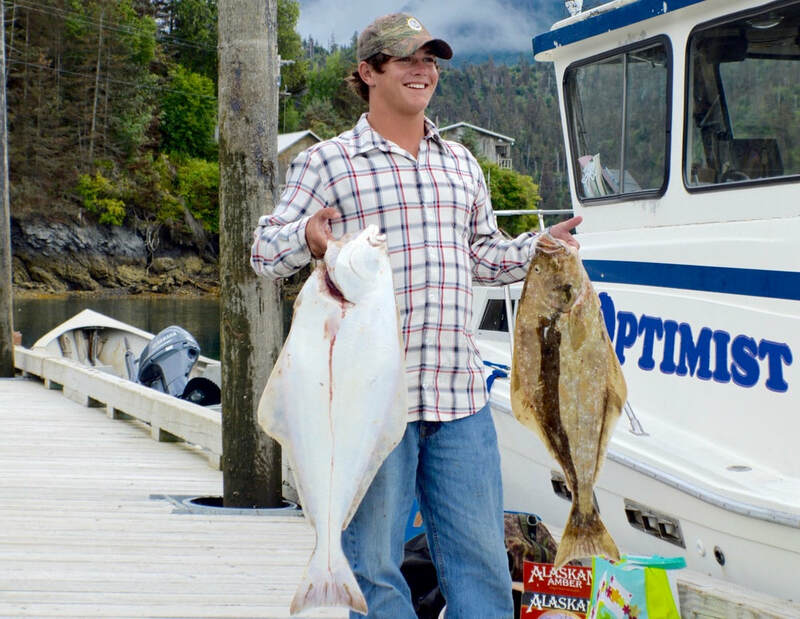 On an average day we travel 40-60 miles (approximately 2 hours travel time) out from the Homer Harbor, farther than most other fishing charters. We pass Seldovia, Port Graham, Nanwalek and fish near the Barren Islands and even go further South around Shuiak Island. 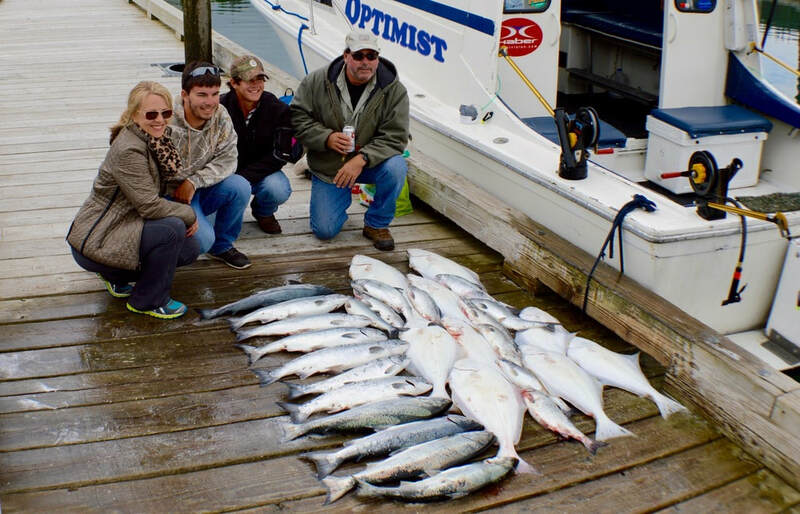 You cannot beat the view and scenery enroute to the fishing grounds, and chances are good that you will see sea lions, sea otters, humpback whales, porpoises, puffins and an array of other sea birds and creatures. 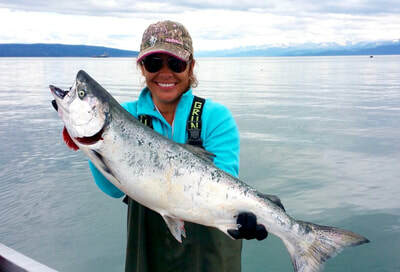 Trolling for King Salmon is a popular, ongoing summer event. The fish are caught on spinning rods using various baits and spinning lures. 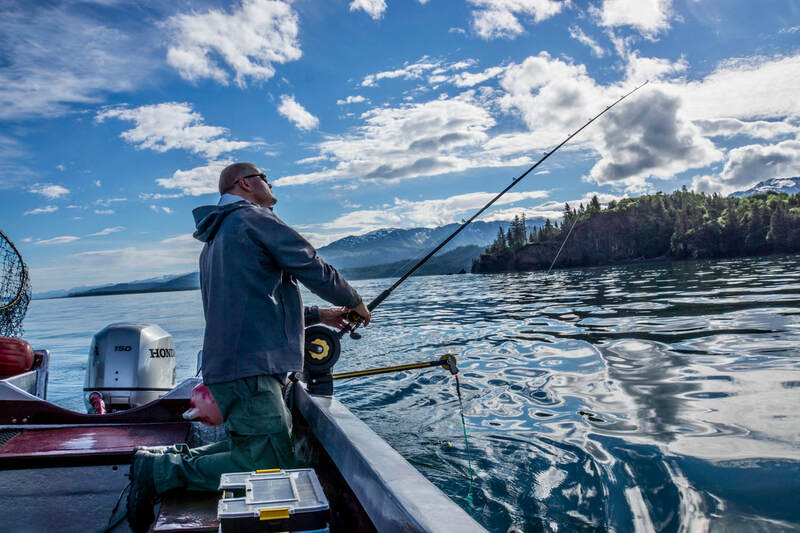 Our guides will determine the best bait to use and help you set up, leaving you to just enjoy the fishing. 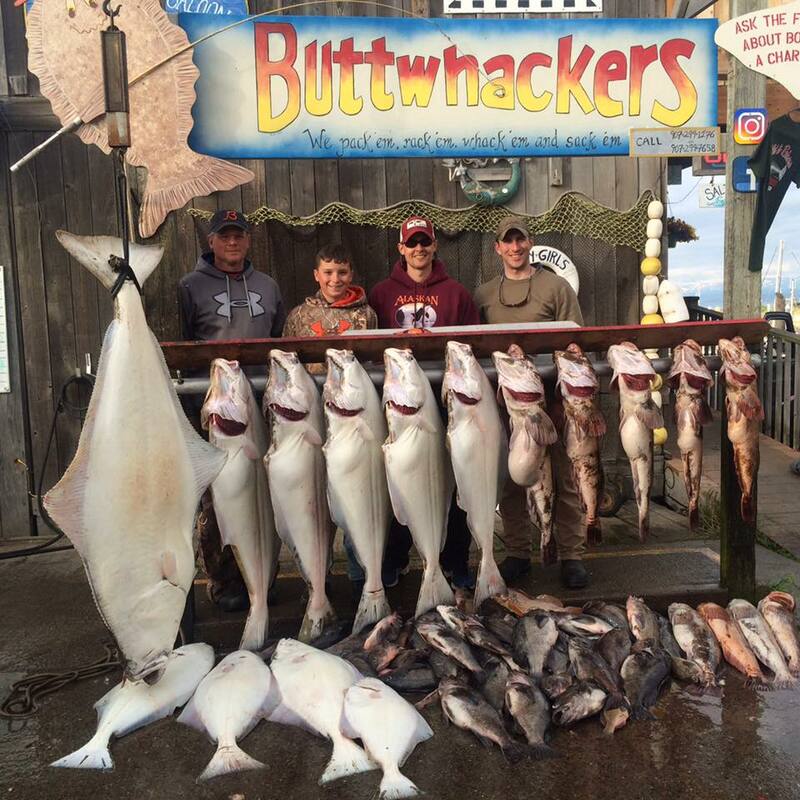 This is a unique fishery in that the fish are quite often visible as they slowly swim past the boat, making an opportunity for those interest to photograph them in their natural environment. This is a salt water fishery; the fish are bright and fresh, making for good quality eating. 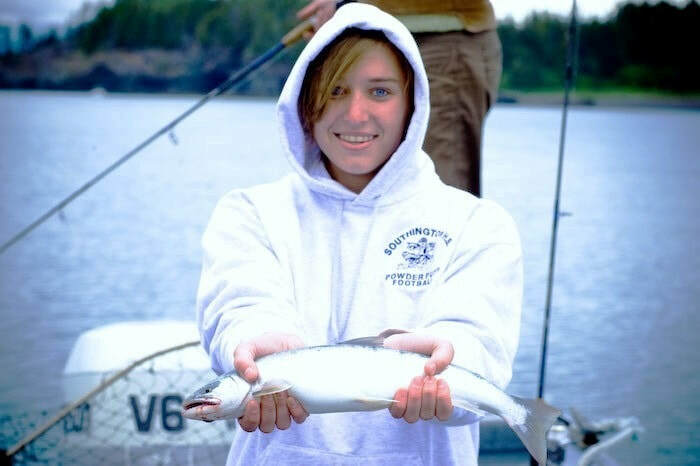 As the bait fish multiply, the feeder salmon that depend on the bait multiply as well. The bait also attracts whales which we see from time to time. Numerous bids are attracted to the bait, diving repeatedly in an effort to catch the little candle fish or herring. 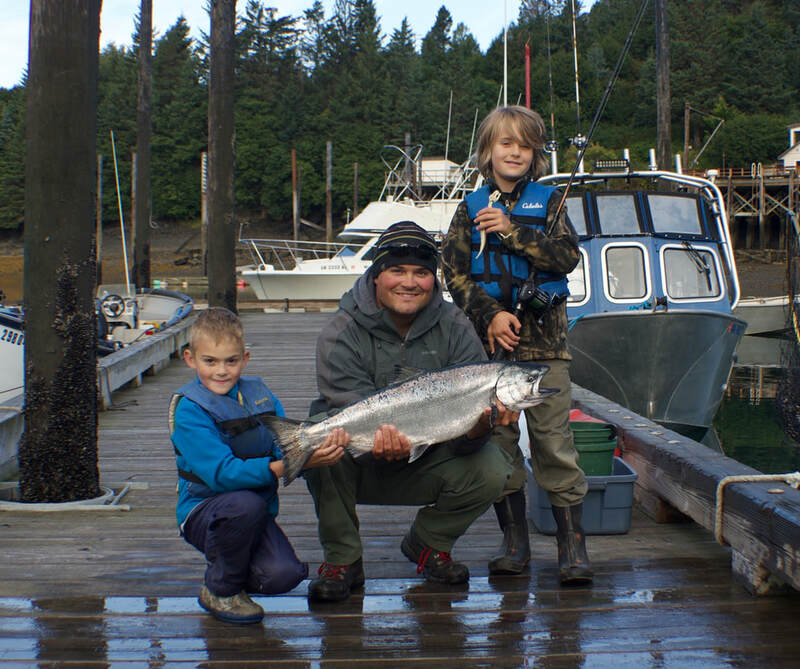 The bird activity alerts us to where the salmon may be. The anticipation when trolling makes for lots of excitement and fun. This is included in the cost of your stay. 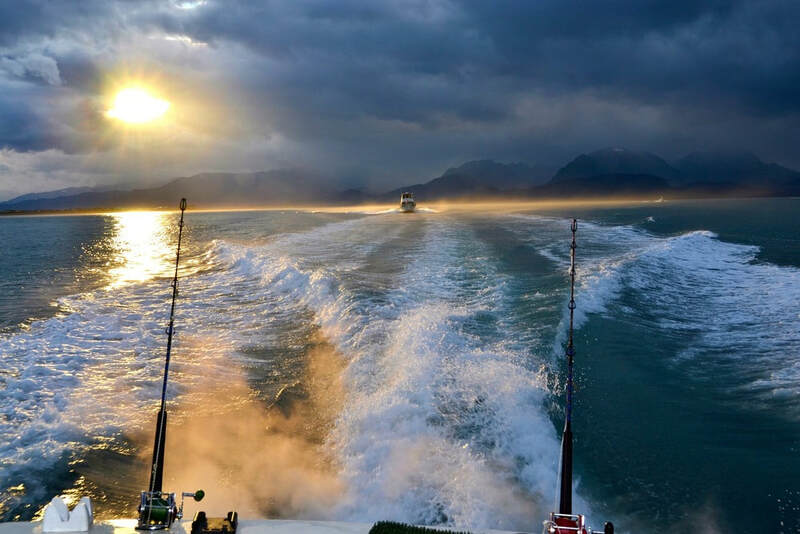 The view of the Kachemak Bay State Park from a Halibut & Salmon Fishing Charter boat. 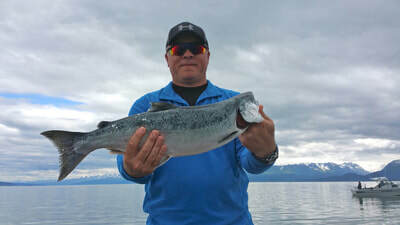 Fishing in Kachemak Bay, near Homer, Alaska. 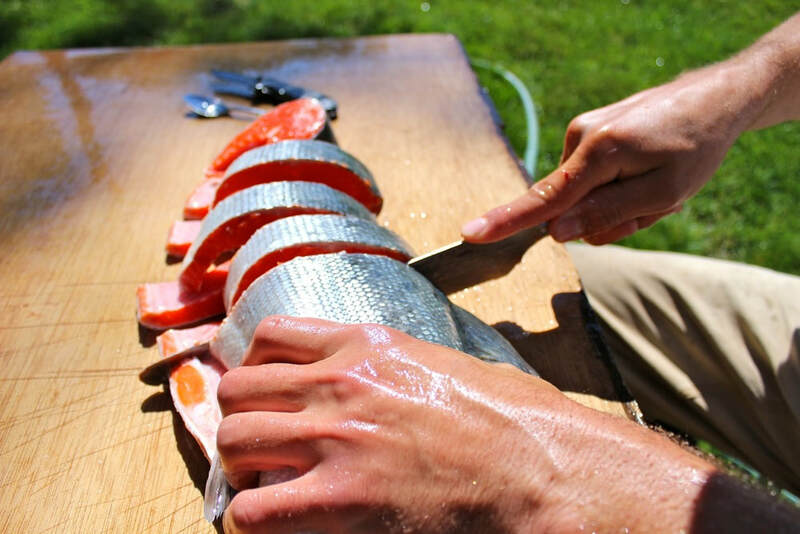 Preparing fresh-caught Salmon for dinner! 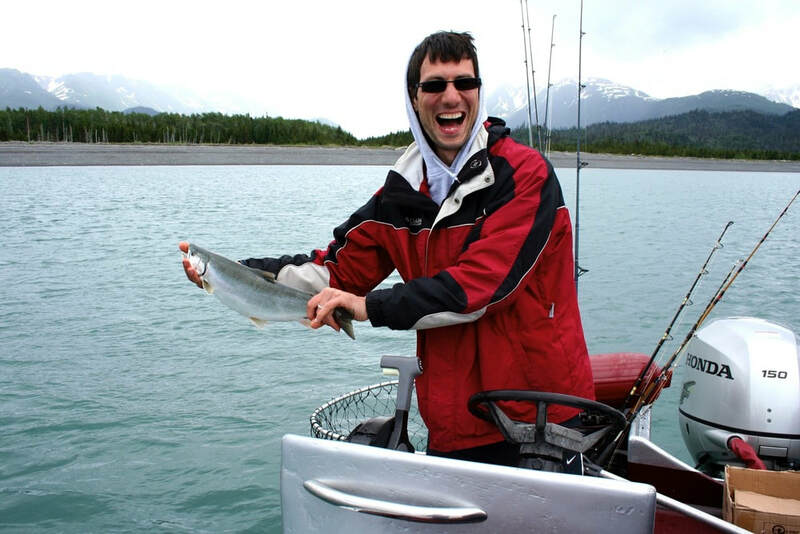 Fishing in the Halibut Cove Lagoon, across from Homer, Alaska.